There’s something deep within us all that’s fascinated by the sea. Maybe it’s because that’s where life began, and we all have a primal desire to crawl back into the antediluvian depths? Or maybe it’s nothing to do with the call of Cthulhu, and just because so much exciting stuff takes place on, and below, the waves! Either way, slot developers certainly seem to be drawn to the ocean, judging by the number of nautical themed games available! At EnergyCasino there’s a shipshape selection of maritime marvels to play, so let’s take a look at a few. First off, it’s time to man the cannons in Riches from the Deep (BF Games), as a creepy ghost ship approaches off the starboard bow! Become one of a rather attractive lady pirate’s crew, but don’t be lured overboard by the mermaids – there are some pretty big sharks in these waters! 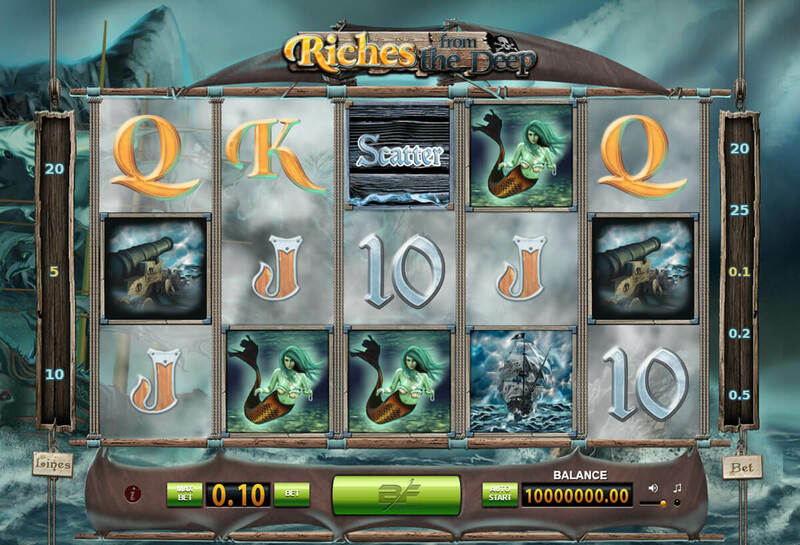 With atmospheric graphics and plenty of free spins, this slot is sure to get you in the seafaring mood! Sailing the same waters, Ghost Pirates (NetEnt), is a lavishly produced slot with more than a hint of Pirates of the Caribbean about it. Play with a disturbing looking parrot named Polly, the ghoulish One-eyed Ed, and the positively terrifying Mad Monkey, as you collect treasure on the high seas. If you’re a fan of pirates and the kind of feature-rich slots produced by NetEnt, then you’ll want to give Hook’s Heroes a spin! With the type of highly polished toon graphics you’ve come to love from this developer, it’s loaded with no fewer than three different free spins features; Mermaid, Pirate and Fairy. With a child-like cartoon feel, pirates, fairies, young boys and girls, and references to crocodiles – something tells us this may have been inspired by the classic tale of Peter Pan! So, you’d rather conquer nations than hijack merchant ships? No problem, EnergyCasino has you covered! 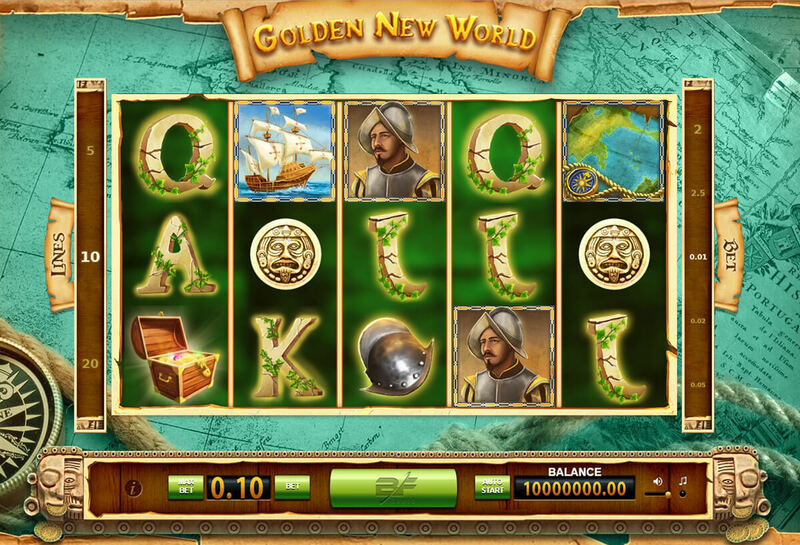 Check out Golden New World (BF Games), and join the Spanish conquistadors as they sail across the Atlantic to the Americas, plundering the Aztec and Inca empires in search of treasure and gold! If you’re more of an explorer than a conqueror, you can join Christopher Columbus on board the Santa Maria, for his historic voyages of discovery in Columbus deluxe, from Novomatic. Flood the tanks and descend to fifty fathoms, as we dive under the waves with a Captain Nemo lookalike, in Subtopia (NetEnt)! Having a touch of steampunk to the visuals, and loaded with a potentially very rewarding multiplier feature, Subtopia can deliver some huge wins – even 100x your bet! Keeping with NetEnt submarine games brings us to Silent Run, though this is of an altogether different tone! In Silent Run, you’ll be braving heavily mined waters, and trying to avoid enemy destroyers and depth charges, as you wait to fire your torpedoes in the bonus game. If natural submersibles are more your thing, you can pay Captain Shark (Wazdan) a visit. With bright, cartoon graphics, this slot is sure to chill you out – heck, even the great white himself looks relaxed, bobbing about on his life ring, and smoking a cigar! Talking of sharks, Sharky (Novomatic), is a more traditional looking video slot, with a pirate theme, but it does have an interesting free spins feature, in which the pirate sails across the reels, moving from one reel to the next – make sure you keep your hands and arms inside the boat at all times!